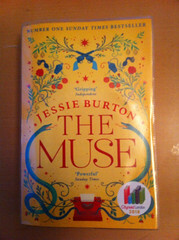 I enjoyed The Muse even more than Jessie Burton’s previous novel, The Miniaturist. It’s two intertwined tales of female creators that transpire to be one. Set either side of the Second World War, we first meet protopoet Odelle, one of the Windrush generation lured to London from Trinidad by Empire’s promise of opportunity. Thirty years earlier the story starts with secret artist Olive and her Austrian-English parents who are renting a rural finca on the edge of a village north of Malaga, in the run up to the Spanish Civil War. A church bell rang in the distance, a sombre line of twelve dongs to hold the time before it slipped away once more. She was really laughing; her eyes were almost invisible, they were so creased. She had that cheery unselfconsciousness that always makes a person beautiful, however unremarkable their face. The idea that anyone might be able to detach their personal value from their public output was revolutionary. 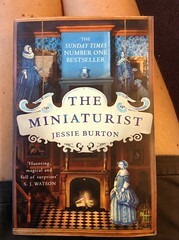 Very popular in the charity shops of Frinton, I ended up buying two copies of The Miniaturist before settling down to read it at the beach hut this weekend. New bride Petronella arrives in 17th century Amsterdam, at the height of the VOC’s fame and fortune. Her husband Johannes is a successful merchant, with a grand house on the best street in the city. His sister, unmarried, still at home. Tricky territory for the younger, country wife. And then things start to get more complicated, when Johannes presents Nella with a cabinet house, a miniature of their own home, to furnish and populate…. Inspired by the Poppenhuis of Petronella Oortman at the Rijksmuseum.